Who will you crown the reader’s favourite money blog? 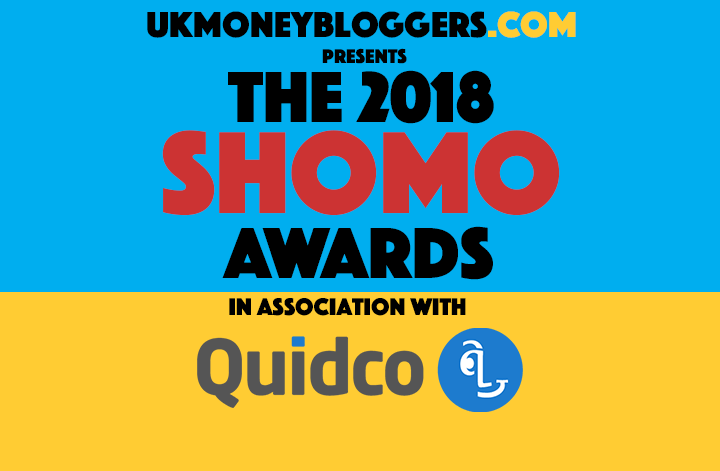 The SHOMO awards are all about celebrating the excellence in personal finance and money blogging here in the UK. But whereas most of our awards are decided by a panel of bloggers, journalists and sponsors, there’s one which is left to the most important people – our readers. Until 31st October please use the form below to pick your favourite money blog from the last 12 months. You can only vote once and duplicate entries will be disqualified. You’ll find the eligible blogs in the drop down. Click the one you want and hit submit. The list is made up of every blog which was nominated for one of the other awards, and this year there are a record 84 to pick from! To find out who was shortlisted in the other categories, you can read our finalists article.